The lob/bob trend is still going strong right now, but not everyone is down with it. 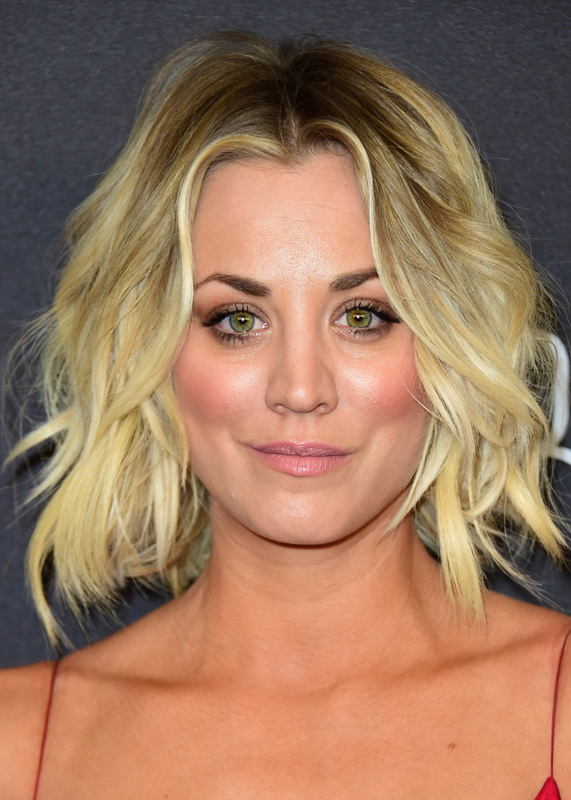 Kaley Cuoco got extensions, as reported by People, because #LongHairDontCare. And really, she doesn't care. She's totally welcoming your negative comments — but like, why would you have any? She looks ah-mazing. When summer rolls around and it gets next-level hot outside, I'm always tempted to chop my hair off. Having all that excess hair on your neck can just feel like 50 shades of gross, but Cuoco is going the opposite direction and embracing long hair for summer. After chopping her hair short for her role on The Big Bang Theory, the actor was ready for a change, so she underwent a pretty substantial hair makeover, and her reasoning behind it is the best part. Cuoco posted a snap to Instagram on Wednesday of her in the middle of her hair makeover (which involved bright blonde extensions and darker roots for depth), and her caption explained what the catalyst for the big change was. "It’s very important for me to change my look after wrapping each season :). I love playing Penny, but it’s good for me to bring it back to Kaley. last year I chopped it all of — this year I’m doing the opposite. With the extension master @faye.woods …. Stay tuned!” she wrote. Reminding the public that she is, in fact, her own person, is so great. Though she plays a character, we have to remember that she's Kaley! And she has to be true to who she is. But Cuoco isn't ignorant to the fact that there are totally haters out there, and she's ready for you, writing "(Can’t wait to read all the negative comments lol)." But whatever. She's rocking a look because she loves it — how could you hate on that? !